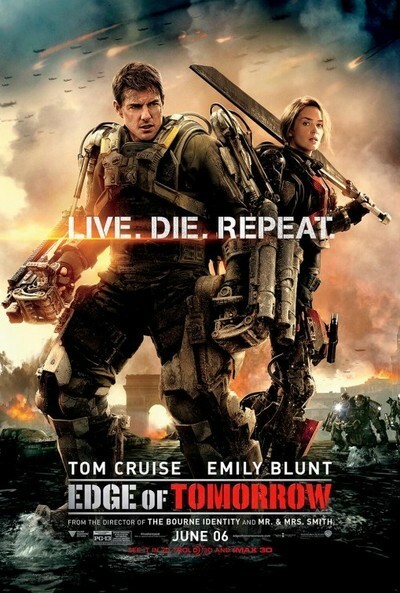 This entry was posted in Movies, Reviews and tagged edge of tomorrow, movie reviews, movies, reviews, science fiction, scifi month. Bookmark the permalink. I loved this movie. And it is based on a book called All You Need is Kill, which I actually would have preferred as the title (the movie was called that in Japan though, where the author is from and the book was first published). I’m a big Emily Blunt fan, so that added to this movie’s enjoyment for me, but I also thought it was pretty funny. They took great advantage of the repeat scenes, which could have been tiring. Oh interesting! Have you read the book? I was wondering how the two compared. I don’t think I’ve seen Emily Blunt in much else, if anything else, but I liked her in this! I enjoyed this film as well! Which surprised me as I am not a huge Tom Cruise fan! His character in this film was different that his typical, super confident characters. I liked that! Yeah – the marketing for this film was horrible. And it actually got a lot of good reviews when it was released theatrically. But the studio had no idea what to do with it and the re-title for home video was a bad idea. I agree, I liked how the looping didn’t get stale or repetitive but you got the sense of him doing it a lot. I really liked Rita as a character and I enjoyed how the story played out. though, I think it was the cuts at the end that made it seem so abrupt. If they’d let it play out a little bit more smoothly, one scene leading into the next instead of the cuts they used when he was looping, I think it would have been more satisfying. I always hate when they drop the ball on marketing a film that is good. I think you make a good point about the cuts! A smoother edit probably would have made a difference!